Here is the transcript of today's oral argument in the Supreme Court in the case of ABC v. Aereo. 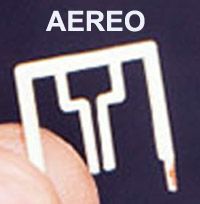 Aereo is a broadcast tv streaming service that for a small monthly fee, allows computer and mobile device users to access their network of antennas and watch shows that are broadcast on free over the air channels in their area. Not surprisingly, the TV networks want to shut them down. The networks claim Aereo violates copyright laws. Aereo says all it does it provide access to the antennas and the user decides what to watch.